Coming up at 9:30p PST (12:30a EST) on Wednesday, November 9th, the AGA broadcast team will cover the Xin’ao Cup Round of 16 on its YouTube channel. Commentary will be led by AGA professional Ryan Li 1p and hosted by Andrew Jackson. The Xin’ao Cup is a new inaugural international tournament, played in Lang Fang, China. The main competition has a draw of 64 players, 12 of whom are seeded (5 from China, 1 from Taiwan, and 3 each from Japan and Korea). The US representative in the tournament, Jujo Jiang 7p, was defeated by Xia Chenkun 3p of China in the first round. The remaining players are competing for a top prize of 2.2 million RMB, or roughly $325,000 USD. It’s not yet clear who will play on Wednesday, because the tournament is still being played and R16 will be decided with a random draw, but there are some exciting players in the running: An Sungjoon 7d, Shi Yue 9p, Tang Weixing 9p, Ke Jie 9p, Kim Kiyong 6d, Lee Sedol 9p, and Chen Yaoye 9p. Follow us on Twitter and Facebook for the latest updates. Myungwan Kim 9p will give live commentary on exciting final round of the 8th Ing Pro Cup finals. Park Junghwan 9p and Tang Weixing 9p play the fifth and final match of the best of five series on Tuesday evening starting at 6:30 p.m. PDT. The players are tied 2-2 and the winner of this round will take home the grand prize of $400,000. The commentary will start at 11 p.m. PDT on the AGA’s YouTube and Twitch channels. Myungwan Kim 9p, hosted by badatbaduk, will give live commentary on the action as the 8th Ing Pro Cup finals draw to their conclusion. Park Junghwan 9p and Tang Weixing 9p play the fourth match of the best of five series on Sunday evening starting at 6:30 p.m. PDT. Park currently leads by 2-1. The commentary will start at 11 p.m. PDT on the AGA’s YouTube and Twitch channels. Myungwan Kim 9P will comment the second game in the Bailing Cup Final live on Wednesday, September 21 on the AGA’s YouTube Channel. 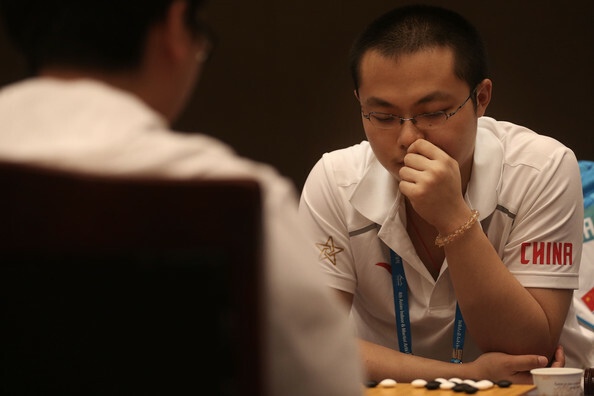 The players are Ke Jie and Chen Yaoye, currently ranked number 1 and 2 in China. The commentary will start at 11p PST (2a EST). The Bailing Cup is a Chinese international tournament created in 2012. Tonight (Aug. 9) and Thursday (Aug. 11), Myungwan Kim 9p will provide live commentary on the finals of the 8th Ing Pro Cup between Park Junghwan 9p and Tang Weixing 9p. The broadcasts will start each evening at 11 p.m. on the East Coast, 8 p.m. Pacific, on the AGA’s YouTube channel. Broadcasting with Myungwan will be our newest host, badatbaduk, a Twitch broadcaster and AGA 4d. Please tune in! The playing dates and deadline for sign ups to China Qiyuan’s new 2016 Gold Cup World Amateur Go Tournament, with online preliminaries for players outside of the major go countries to be held on Tygem, have been pushed back. The prelims will now take place starting August 8, with sign-ups allowed until August 2. “The prizes and playing opportunities for the players who make it past the prelims make it well worth trying,” said AGA President Andy Okun, who noted that the new playing dates no longer overlap with the European and US go congresses. The deadline for registration is August 2, 12 p.m. Beijing time; details and the registration form can be found here. The preliminaries will select 10 Chinese players, six Korean players and four from the rest of the world. Although competition can be expected to be rough, players down to 18 kyu are welcome to register. Winners of the online prelim will play face to face at the Xiamen Aqua Resort Hotel in Fujian from Sept. 14-19. 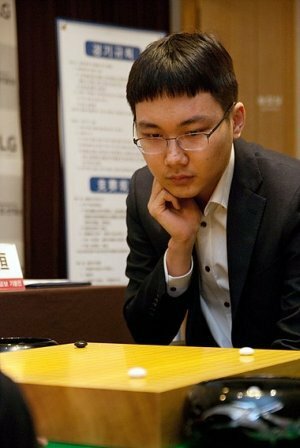 Myungwan Kim 9p will return to provide live commentary of the Bailing Cup round of 32, between Tang Weixing and Park Junghwan, starting at 8:30pm PDT on 6/29. He’ll also provide live commentary on the round of 16, on July 1, again starting at 8:30pm. 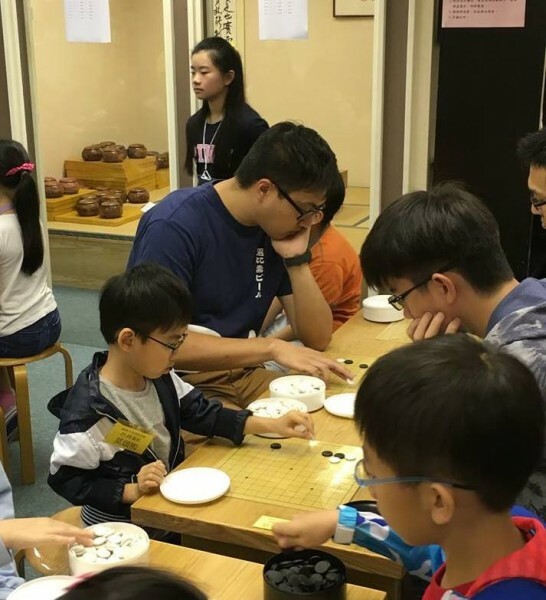 The early rounds of the Bailing cup are being played in Beijing, and the players have 2hrs 45min, with five one-minute byo-yomi periods following. They’ll take a lunch break from 9:30pm to 10:30pm. Twitch broadcaster “badatbaduk”, himself an AGA 4d, will host the commentary. You can watch the event on the AGA YouTube Channel or the AGA Twitch stream.